CTO Stream is helping clinical trial sites across Ontario save time and public money by improving their research ethics review process. But research ethics review is just the first step to more streamlined and efficient clinical trials. 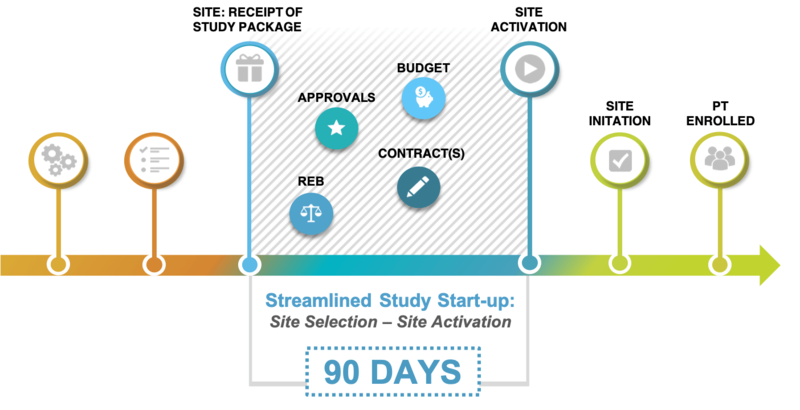 QuickSTART, CTO’s newest streamlining program, is designed to help clinical trials sites and industry sponsors reduce their overall start-up time by establishing harmonized processes for budget and contract development. QuickSTART is now open and ready to support trial sites and industry sponsors. Download the QuickSTART Overview Here. Download the QuickSTART Manual Here.